Disclaimer: This post may contain affiliate links. Please read our disclosure policy for more information. We travel a lot and packing has never been my favorite thing… I like to pack light and we never travel with more than 2 luggages for our family of 5. Remember to sign up for our mailing list to receive a printable Travel Light Packing Check List!! 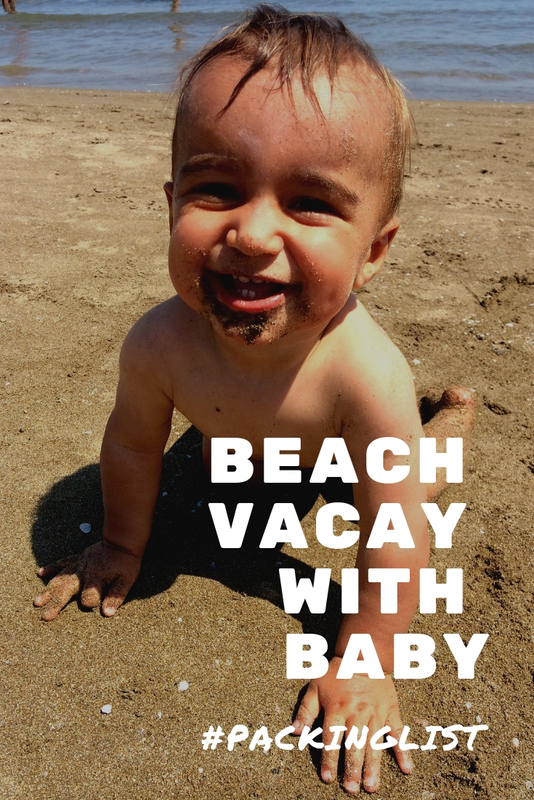 We have traveled to beach destinations with babies as young as 3 months old since those trips are usually a bit more relaxing for everyone. We never leave the house for the beach without sunscreen. Per Health Magazine, the best sunscreen for babies and kids is the Neutrogena Pure & Free Baby SPF 50 . We love it for being gentle on the skin, low on fragrance, and tear-free!! A must with babies since they’ll be sweating and in and out of the water. We never purchase below SPF 50. Always favor protection versus tan for your family! The HAOCOO Pop Up Baby Beach Tent has always been our secret weapon to stress-free beach vacations with baby. Pop it up in seconds at the beach or by the pool and lay your child under 2 to rest and nap in the shade. It comes with a mosquito net and provides an SPF 50 sun shelter. Folding to 16 x 13.5 inches and weighing only 1.4 lbs, it will take up very little space in your luggage! Quality floaters will make your life so much easier while at the beach, or at the pool if your resort has one. We have used the Fred’s Swim Academy SwimTrainer since all of our babies were 6 weeks old and I wouldn’t do it any other way. It is the gift all of my friends get for their baby showers! It puts baby on his belly in the water and gets him ready to learn to swim. If your child is older, Fred’s Swim Academy offers 3 sizes. For our early swimmers, we’d always pack the simple arm floaties. They take up no space in luggages and are great for added safety! If you know me a little bit, I am not a big fan of expensive disposable items. Swim diapers are one of those costly items that we preferred leaving on the shelves for re-usable quality ones. We always swam a lot with our kids and purchased several of those for pure look purposes – gotta look good in the sun 🙂 Those are awesome and held every single accident, every single time! We never stuck with a particular brand, use THIS LINK to see all the cuteness for boys and girls. Tip: purchase based on your baby’s weigh to ensure a snug fit around the legs! This is an obvious one, but for your non-diaper wearing kids, make sure to pack 2 swimsuits per child so they always have a dry one to wear. We always prefer sets that include a UV shirt – kids are more protected and you don’t fight with them to apply and re-apply sunscreen! Swim goggles are easy to forget and you will most likely need to buy some at destination if you don’t pack a pair for each child! They also seem to be the easiest item to loose while on vacation… We always purchase either Speedo Kids’ Goggles or wait until Aldi sells them in the summer and buy a bunch to last us through the season! Based on your destination, you might want to check out life undersea! Kids love joining in the fun and looking for fish, sea stars, shells, and more. 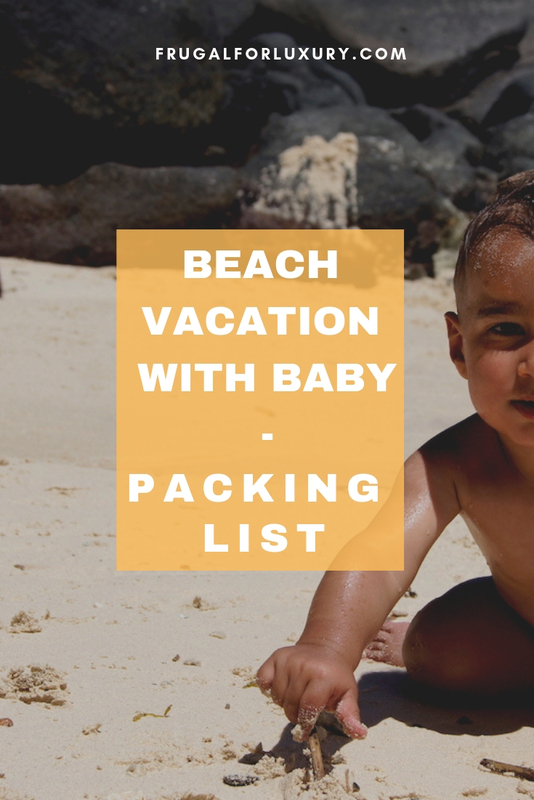 We pack a snorkeling set or 2 and the kids take turns, since they are fairly bulky! While we are not a big hat family, we do protect the kids’ eyes with quality sunglasses while at the beach. Hats are highly recommended as well! Beach toys can be a bit cumbersome but not having any will make your beach trip less fun for the kids. We always opt to pack a few of the smaller shovels and molds. In certain areas of the world, it is highly recommend to wear beach shoes. Do your research before leaving and check the requirements. 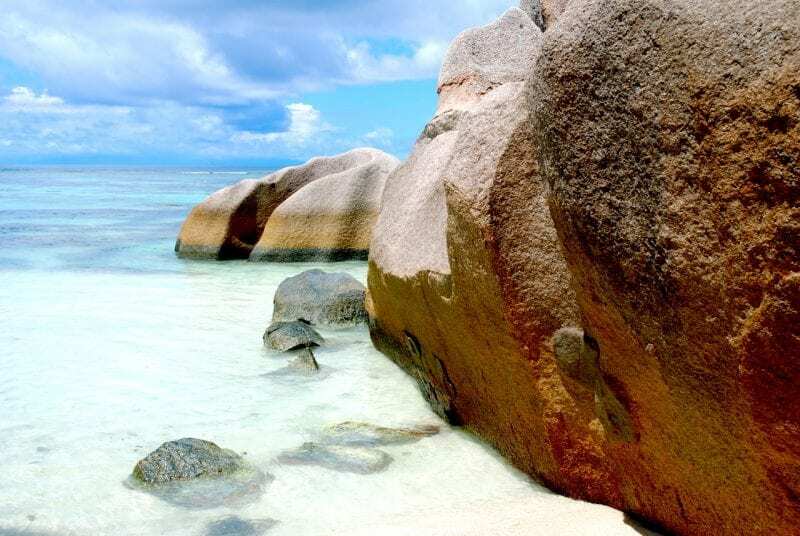 When we traveled to the Seychelles, we knew of the risk of orkins in the water and on the beach and equipped the whole family with water shoes . Depending on your baby’s age and whether you like to carry her, you might want to invest in a water baby carrier . Those are the best as you’ll notice that without one, your baby will wiggle and get slippery to hold in the water. They will love being on you and get to experience the ocean against your skin! We loved, loved, loved those when our babies were young! 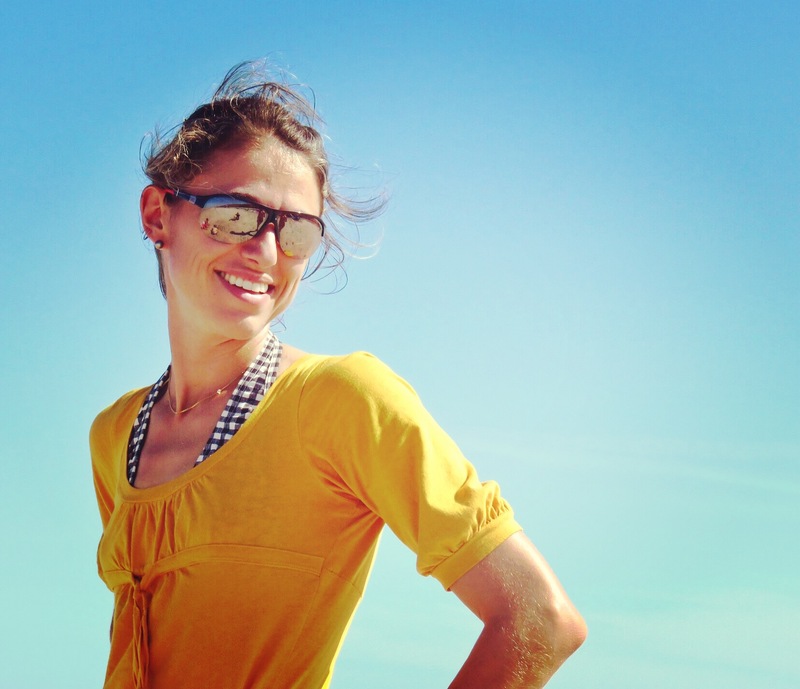 You will want to snap as many pictures as you can of your family at the beach. Sand and water will be your phone’s worst enemies and getting a waterproof case will be your best investment! Make sure to get one that lets you type on your phone so you can unlock it while in the water too. If you enjoy reading us, make sure to sign up for our newsletter to stay in the know!